I have been working on a project with Dr Mark Anderson & Dr Meriel Fitzpatrick, as part of the Experiential Learning CETL. In this project we enhance PAEL using PDAs loaded with the MScape software. Our experiences and findings have been recently presented at the GEES 2010 conference 'Overcoming Barriers to Learning in the Geosciences', University of Birmingham. Further details are available from the abstract. 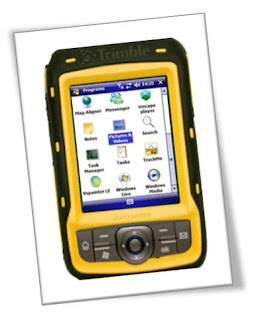 However in a nutshell, we are using Trimble Juno SC PDAs with the latest version of MScape software installed. The PDAs are GPS enabled so ariel maps can be programmed with automatic prompts when students enter specific locations of interest. Students entering these 'zones' are prompted to carry out specific tasks or observations, that enable a better inderstanding of the surrounding geology.